It has been raining these few days and it is cold and miserable. But this sight of so many umbrellas of different sizes, colours and shapes brings a tiny smile to many faces who is amused by it. 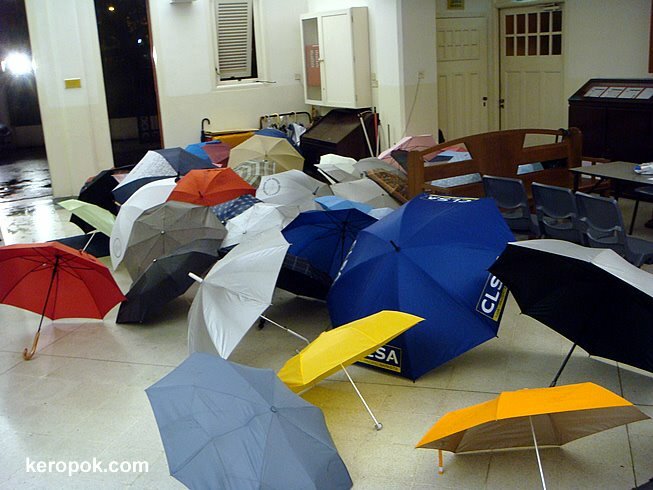 By the way, do you have your own favourite umbrella? Or umbrellas are just umbrellas to you.